How Does a Hot Tub Affect Your Home Value? There’s no single rule for calculating how much installing a hot tub will increase the value of a given home – if it does at all. Some hot tubs may, depending on various factors. Is it a portable hot tub? So-called “portable” hot tubs are, as a rule, considered personal property and as such offer no added value to the house and land. And what is a portable hot tub? Any hot tub displayed on a showroom floor is a portable hot tub. It can be moved and relocated even if it is heavy and requires special equipment to deliver it to your home. Contrast portable hot tubs with permanent hot tubs: A permanent hot tub sits in the ground, much like an in-ground swimming pool. The plumbing is typically built-in as well. An in-ground hot tub may increase your home value, although generally not as much as you invested in the tub. Is the hot tub built-in? 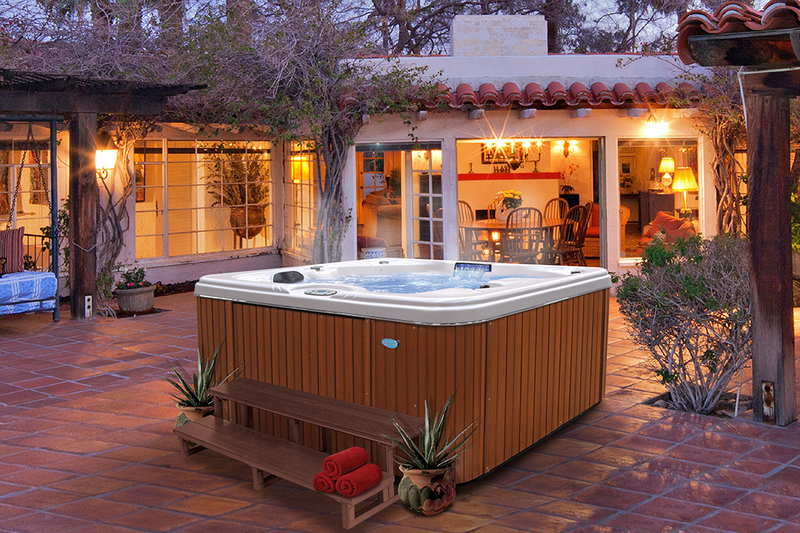 Even a “portable” hot tub may add real value to your home if it’s built-in. If removing the tub will cause extra construction to close or cover the hole in the deck, patio, wall or such, then it is considered built-in and may increase the home appraisal. Even then, the exact amount may vary. Where do you live? The climate you live in also influences the affect a hot tub may have on property value. In northern climates, for instance, outdoor swimming pools don’t always get much use. It’s simply too cold most of the year. A hot tub, on the other hand, is a pleasant retreat in the coldest of winters – even if it is outdoors. Residents of hot, southern climates probably won’t appreciate a hot tub in the same way. In such markets swimming pools will likely raise your home value more than a hot tub. Replace old or damaged hot tub covers. Simply changing the cover can make a hot tub look more inviting. Clean the tub thoroughly. Depending on the material, wash and shine the exterior. Wipe down the interior to remove algae, stains or other problems, and chemically treat the water or even change the water if necessary. Remove any debris in and on the hot tub before any home viewings. Landscape around outdoor hot tubs. Present your spa area as a tempting retreat from the surrounding world. Build a fence to shelter it from neighbors, install mood lighting, plant greenery, make a brick or concrete path leading to the tub – anything that will help blend the tub into the home environment and increase appeal. If you’re struggling with the thought of spending the money on a hot tub, ask yourself how long you plan to remain in your home. If you can’t foresee selling and moving for a number of years, the actual financial return may be secondary to your enjoyment in the meantime. 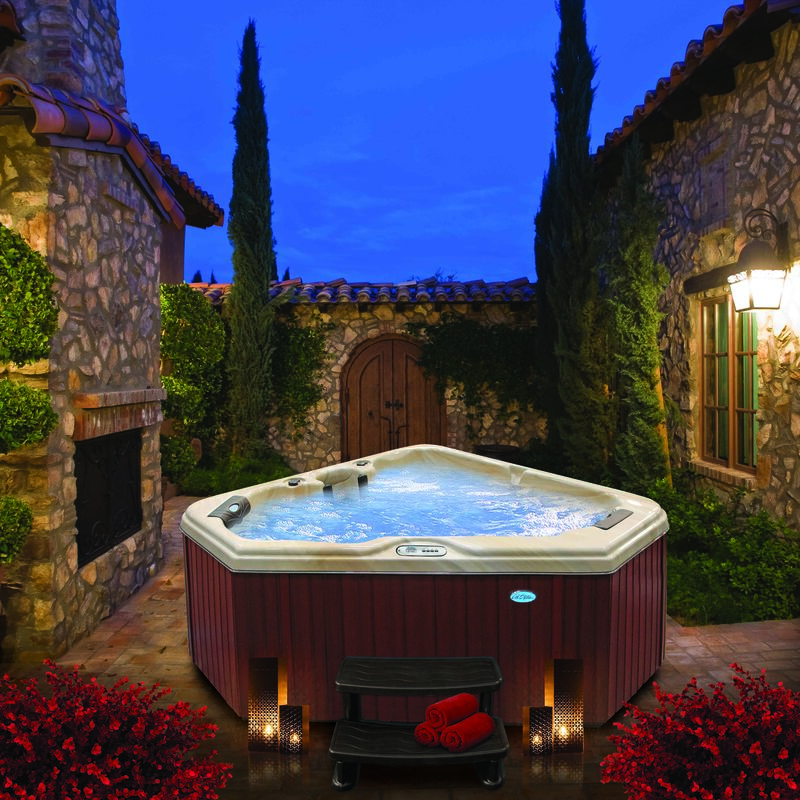 If hot tub ownership is right for you, make sure to view all the hot tubs Cal Spas has to offer at www.CalSpas.com.